If there was still any doubt that the Left in the United States is led by people whose basic ideals are 180 degrees opposed to ideals held dear by the mainstream Americans, John Kerry, the Democrat standard bearer in 2004, removed it with his idiotic remarks about U.S. military personnel. "You know, education, if you make the most of it, you study hard, you do your homework and you make an effort to be smart, you can do well. 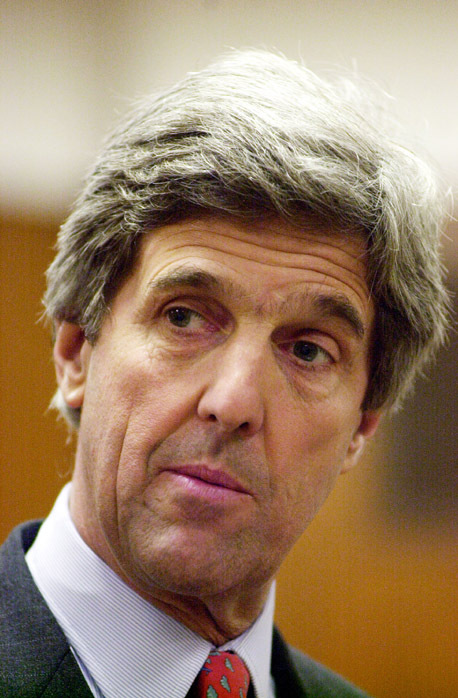 And if you don't, you get stuck in Iraq," Kerry said. So, the guys and gals fighting the good fight in Iraq, that all-volunteer force putting lives on the line, and some who have given their life for their country, are a bunch of idiots who didn’t do their homework, study hard and make it, and are failures? You might expect someone of Kerry’s stature to immediately apologize for insulting 140,000 people from private to four-star general in one fell swoop. But not John Kerry. He, true to form, blames George Bush. "I apologize to no one for my criticism of the president and his broken policy," Kerry told reporters in a press conference in Seattle. "My statement yesterday, and the White House knows this full-well, was a botched joke about the president and the president's people and not about the troops." Well, then, Senator, why not do the honorable thing, the right thing, and apologize to the troops you insulted with your botched joke. On second thought, don’t apologize. Let people see who you really are.